Lovely Inspirational Toppers for all 12 Months! 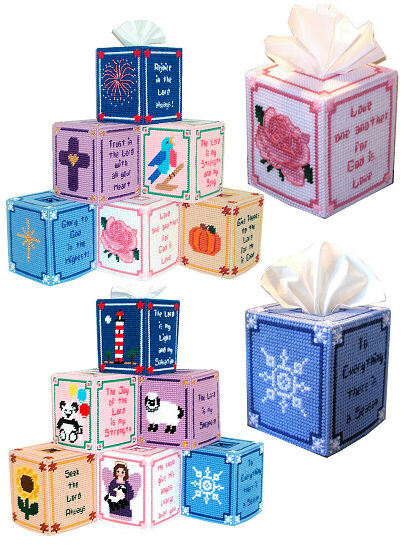 Stitched with 4-ply yarn on 7-count plastic canvas; each fits a standard Boutique-Style Tissue Box. Each Topper Includes a Bible Verse and Lovely Picture appropriate for each month. 2 months fit on one tissue box so that you can alternate 6 boxes, or make each one separately, if desired.